Home News What is debris netting? Debris Net is a knitted mesh used to wrap buildings for safety, protecting workers, pedestrians on the street, and adjacent properties from falling objects including building materials, equipment, and other hazards. This netting is high strength, pliable, reusable, and can be moved from floor to floor as the project requires. We stock many styles of debris netting that are fire retardant or non-fire retardant. The fire retardant models are marked with orange stripes allowing easy verification for inspections. If you need a net that can also catch falling workers in the event of an accident we offer a combination Debris Fall Safety Net. Our custom panels are second to none in both quality and strength. Added webbing borders increase durability while expanding service time. Grommets allow for quick and easy install. Our heavy duty grommets are larger and stronger than those of our competitors. 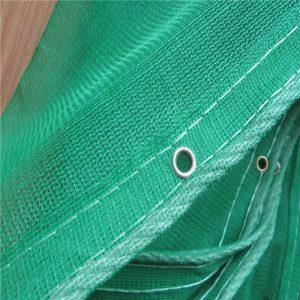 Safety Debris Net is a 1/4” knitted mesh material commonly used for guardrail debris protection, scaffolding enclosures or visual safety debris net barriers. Safety Debris Netting is made from high density polyethylene (HDPE) with UV inhibitors for maximum life expectancy. The open knitted mesh design allows for air flow yet still provides containment of small and chunk debris. Safety Debris Netting rolls include reinforced hemmed edges for fastening purposes allowing an easy, safe and secure installation. All rolls are tightly packaged into clear poly bags with branded labels for easy shipping and handling. All Eagle Safety Debris Netting is tested and approved to meet the standards of today’s industrial and construction industry. 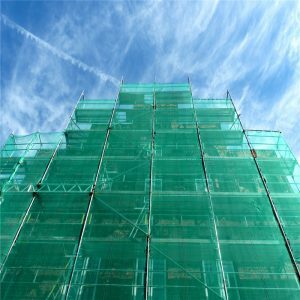 If you are looking to source construction safety Debris Net for an large project we offer bulk pricing discounts on our products. We carry debris net rolls in standard sizes that can be cut or fabricated to your specifications. We also carry a large selection of hardware for attachment.